We’ve all been there: embarrassed by a moment of forgetfulness and left wondering if this is the beginning of more permanent memory problems. 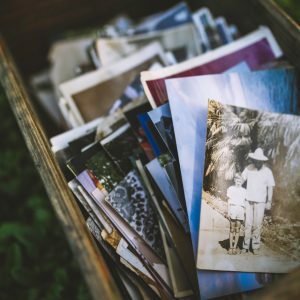 There’s no doubt that with aging may come disease or brain disturbances that can cause irrevocable memory loss. But it’s also true that several new studies report possible ways to sustain and even improve your memory, despite advancing age. So let’s take a look. Studies out of Singapore and Louisville provide evidence that a few foods in your diet may be helpful in reducing your risk of Mild Cognitive Impairment and in counteracting age-related changes in your gut bacteria thought to be associated with memory problems. Specifically, you may want to up your intake of mushrooms and also consider adding garlic to the mix. Plus, a new post in the Harvard Men’s Health Watch cites a recent study that reported men who consume the most daily servings of vegetables and fruits were less likely to develop memory problems. Researchers posit that the anti-oxidants and other vitamins and nutrients in fruits and veggies play a role in preventing brain problems, including memory loss. As for exercise? There seems to be no getting around it if you want to keep your brain sharp and your memory intact. A new study out of the University of Iowa found long term cognitive benefits from habitual physical activity and short term boosts to memory immediately following a workout. And one additional strange but interesting research finding: according to the Harvard Women’s Health Watch, a new study published in the journal Cognition found that walking backward allowed study participants to better recall items they had recently seen. While scientists do not yet understand the correlation between moving in reverse and memory, one researcher suggested “it may be worth trying” next time you want to remember something! Finally, an important and potentially groundbreaking new study out of Boston University reports that stimulating precise regions of the brains of older adults with alternating electrical currents produced significant changes in the working memory of those adults. While this is a preliminary study and much more needs to be done to determine the practical application of this research (how would it be would be given, what would be the optimal dosage, etc. ), the implications of the research are exciting: that age-related changes to working memory may someday be reversible. To find out more, read here and here.